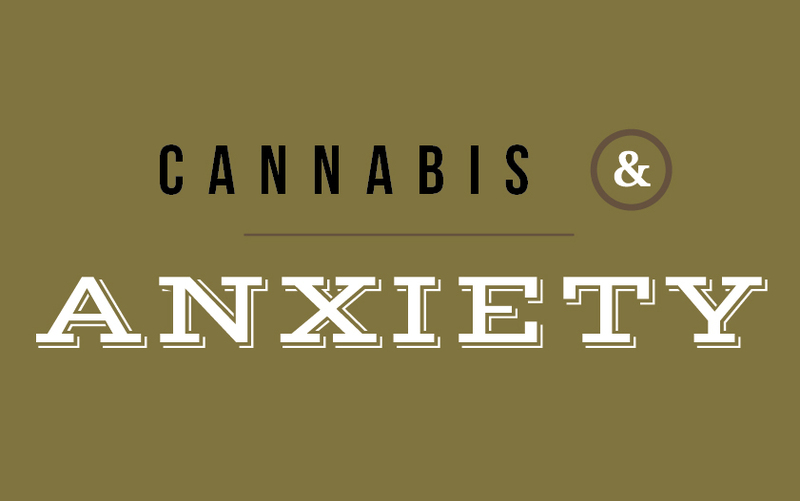 Can Cannabis help anxiety? From migraines, to sore joints, to cancer, cannabis is used to treat a vast range of diseases and conditions. Perhaps one of the more unexpected uses for this plant is the treatment of mood disorders like anxiety. Though public acceptance of cannabis use for mood disorders has only recently gained a foothold, the truth is cannabis has been used to treat these conditions for hundreds of years. The knowledge of this legacy is not well known. Most often, anxiety is mentioned in the same sentence as cannabis only to list it as an unwanted side effect. In recent years, however, the body of scientific and anecdotal evidence supporting the use of cannabis for relieving anxiety has begun to grow. Various studies indicate the endocannabinoid system – which produces the human body’s equivalent to the 80-some compounds found in cannabis – plays a significant role in battling anxiety. These naturally occurring cannabinoids are present in the amygdala and hypothalamus, parts of the brain responsible for the disorder. Anxiety can take many forms; social anxiety, post-traumatic stress disorder, and OCD all fall into this category. Almost one fifth of the American population is thought to suffer from some kind of anxiety disorder. To understand how cannabis can ease anxiety, it’s important to first comprehend how the body’s endocannabinoid system affects the disorder. Anxiety can be caused by many factors: emotional, environmental, genetic. Biologically, anxiety is caused by the production of excitatory neurotransmitters, primarily glutamate. Though this amino acid is vital to our daily functions, like anything else, we can end up with too much of a good thing. Stressful situations trigger the production of glutamate. When this happens, the endocannabinoid system is supposed to help counteract the stressful results by dampening the neuroreceptors that react to the glutamate. If too few endocannabinoids are produced, however, a person experiences anxiety, rather than a manageable bit of stress or worry. That’s where cannabis comes in or, more accurately, specific cannabinoids within cannabis. By augmenting the body’s endocannabinoid stores, cannabis increases our natural glutamate-inhibiting abilities. Cannabis is made up of more than 80 cannabinoids, the most well-known of which is THC (tetrahydrocannabidiol). Quickly gaining in popularity is CBD (cannabidiol), a compound that counteracts many of THC’s less desirable side effects, and boasts many of its own benefits. It is CBD that is believed to play the most significant role in the dampening of anxiety, thanks to its non-psychoactive, sedative effect. THC, on the other hand, is the compound presumed to cause anxiety, thanks to its effect on the amygdala. Despite this, some recent studies have shown that while high doses of THC can exacerbate this symptom, low doses can actually have the opposite effect. For the time being, though, CBD is the cannabinoid to watch when it comes to anxiety. It is CBD that is believed to play the most significant role in the dampening of anxiety, thanks to its non-psychoactive, sedative effect. The first study that touted the effect of CBD on anxiety took place more than 30 years ago, though the study looked at the cannabinoid’s ability to block cannabis-induced anxiety, specifically. It wasn’t until 2011 that another study looked at CBD’s effect on patients with existing anxiety disorders. This study showed that following a treatment with CBD, the patients’ brain scans showed less anxiety, and less activity in those significant parts of the brain (the amygdala and the hypothalamus), when compared to the scans of the control group. Another study published by the same assembly of researchers entailed giving CBD to patients with social anxiety disorder who were preparing to speak in public. The treated individuals showed less cognitive impairment and discomfort when they took the stage for what would normally be a very stressful presentation. The reactive result of this cannabinoid isn’t the only way in which cannabis may be able to aid people suffering from anxiety disorders. Evidence suggests a healthy endocannabinoid system can help rid the brain of painful memories, which could in turn ease or eradicate PTSD. The system is also closely involved in neurogenesis – the growth of new brain cells – which has a whole host of benefits including lowering anxiety levels. There are so many positive results from these studies, and more supporting evidence is sure to surface as cannabis research grows in demand and becomes more accessible. Nonetheless, incorrect dosages, or the presence of other cannabinoids that conflict with helpful CBD, can alter the desired effect of the medication, so it is important that individuals suffering from anxiety take care when using cannabis. FARM staff is a great resource to help you determine the best cannabis products for your all-natural anxiety treatment.